Grace and Graham married on Saturday 24th August 2013 at The Christian Centre, Glasgow, followed by the wedding reception at Rutherglen Town Hall. The couple met whilst studying at university together. 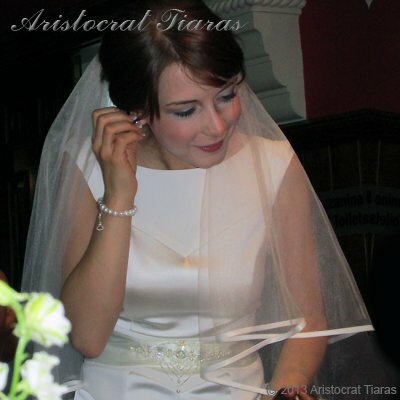 Grace wore a stunning gown from Coast, embellished with a bespoke Swarovski crystal and pearl belt created by Aristocrat Tiaras. The sparkle of the crystals and the unique patterns on the belt truly enhanced the shape and elegance of the dress.